Downloading YouTube videos not only allows them to enjoy offline, but also facilitates additional functions like, transferring to other portable devices, editing them, and proper management. There are many software and programs that allows YouTube download, but majority of them support one by one download option. So, what if there is some favorite playlist or a channel on YouTube that you wish to get downloaded in batch? Downloading these videos one by one will be tedious and time-consuming task and thus arise the need for a bulk YouTube video downloader. These bulk downloaders allow downloading the entire playlist or a channel at a time. In this article, the best bulk YouTube downloader on Windows, Mac, and Linux are listed below. If you are looking for the options to download YouTube videos in bulk on your Mac or Windows PC, iTube Studio YouTube Playlist Downloader will be the perfect choice. This professional software allows bulk downloading of videos from YouTube as well as other popular sites. Using iTube Studio YouTube bulk downloader, an entire playlist or a channel can be quickly downloaded on Mac or Windows with different video quality as per requirements. There will be no compatibility issues while using the software, as it allows converting videos to more than 150 formats. 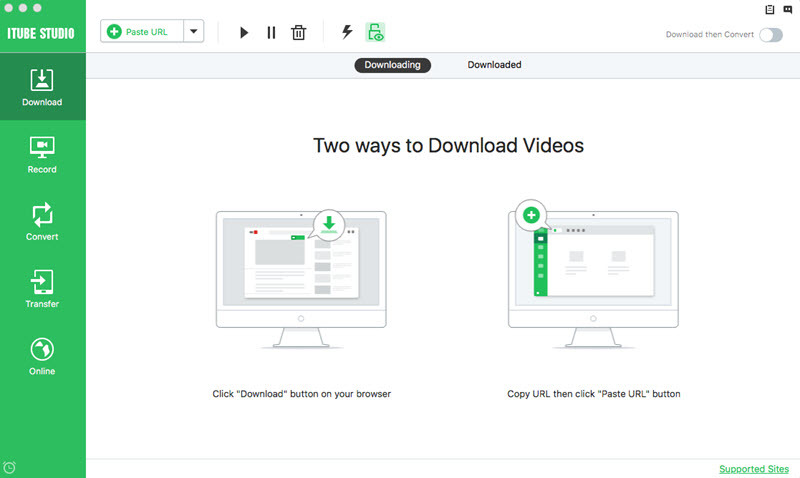 This bulk YouTube downloader is simple, quick and efficient. 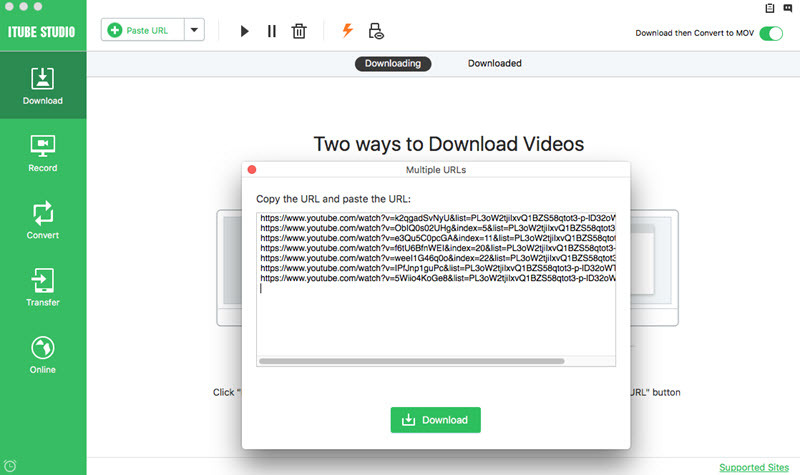 Support to bulk download videos from YouTube, Instagram, Vimeo, YouTube, Facebook, Metacafe and other 10,000+ pupular sites. 1 Click download all the videos from YouTube playlists at 3X faster speed. In-built video converter to convert downloaded videos to many formats and devices like iPhone, iPad, Android phones. Well balanced video recorder to capture any online video or live sessions even from those "unable to download sites". Direcly download videos from a sharing link of online storage backup drivers like Dropbox, One Drive, Google Drive, etc. "Private Mode" to download videos to a password-protected folder to prevent them from being seen by others. Download and install iTube Studio on your computer in accordance with your operating system. Once completed, run this YouTube bulk downloader to its interface. Launch the browser on your PC, open YouTube and select the desired playlist. By side of the player windows, you will see a Download button, click it then choose the Playlist option from the drop-down menu. Then a new windows will pop up confirming the video format, quality, and several other parameters. Just choose according to your need and then iTube Studio will automatically start the video downloading. Or you can just copy the URL from YouTube playlist, and then click the "Paste URL" button in iTube Studio. After confirming the parameters, it will start to download videos from YouTube playlist automatically. You can also input as much as 1000 URL links manually, just input the URL and then press Enter button to input another. 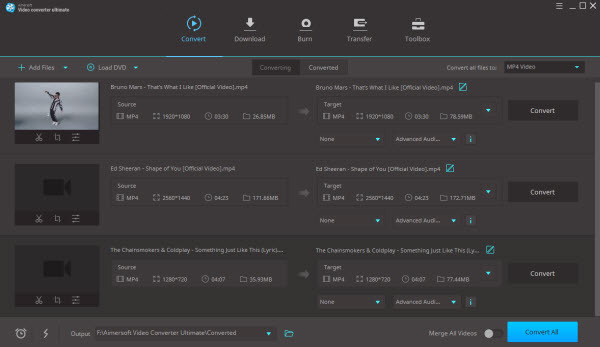 Once completed, hit Download to select and then download all the videos simultaneously. If you are working with Linux system and looking for the bulk YouTube downloader, youtube-dl will prove to be an apt choice. youtube-dl is a command-line program that allows downloading your favorite YouTube channel or a playlist on Linux platform. 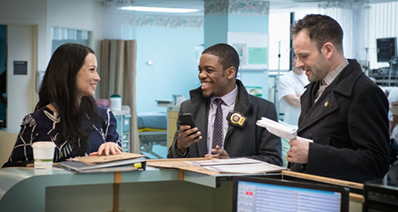 The program also allows downloading videos from other popular sites. Step 1: Install youtube-dl on Linux system. Select and copy the YouTube playlist URL. Put the URL of the playlist in double quotes on Terminal and apply the needed attributes and options to download the playlist in selected format. You can learn more from the official website here. So for all your YouTube bulk download needs, above listed are the best software and programs on different platforms. Use these bulk downloaders and enjoy your favorite videos.